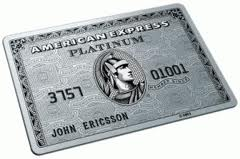 The American Express Platinum charge card has taken a lot of stick this year. And frankly, most of it was justified. There was a lot of grumbling, to put it mildly, when Amex cut the insurance benefits on its Platinum charge card in January. What was comprehensive, no-worries cover became a bit of a game, with flights and hotel required to have been paid on an Amex card in order to qualify for some benefits. They then hiked the fee to £450 from £300, with no improvement in benefits apart from one year of Cathay Pacific Gold status. Let’s give them some credit though. When we were in Barbados recently, our son vomited badly for a day and so we had him seen by the resident hotel doctor. We did not get this pre-approved by Axa (Amex’s insurance partner), which is a pre-condition for repayment. I had deleted all my e-ticket receipts by the time I submitted the claim, and the claim itself was a scruffy receipt torn from a standard receipt book, available in any stationers, with B$450 written on it (c £150) and rubber stamped with the doctor’s name. Not exactly great proof – all that I sent Amex was that receipt. And, today, I got an e-mail saying they were paying me in full. The same thing happened four years ago, when I got a bug at the Four Seasons Florence and saw the hotel doctor, without any Amex pre-approval. Credit where it’s due – both times they paid my claims promptly even though I technically had not submitted all the required paperwork or proof of travel. Hopefully my 15 years of card membership and modest claims record (those two claims are all I have made in probably 100 trips in that time, not that they know how often I travel) counted for something.